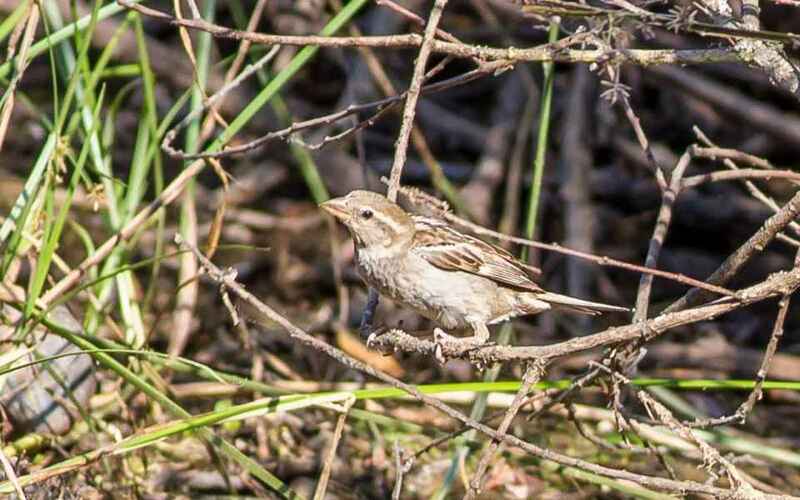 The Rock Sparrow has an odd distribution pattern in Portugal and is primarily confined to a swathe of territory running through the country 100 kms either side of the Tagus. 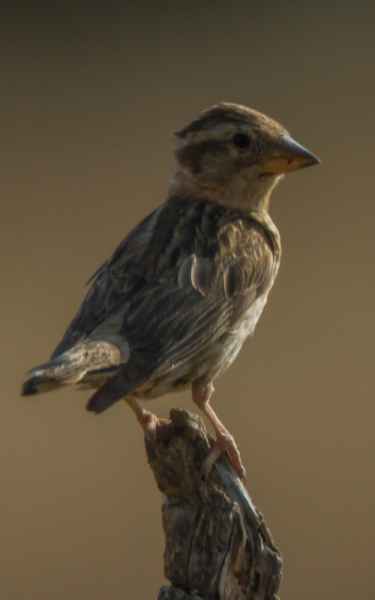 Its plumage superficially resembles a female House Sparrow, but with its broadly striped head and thick, heavy bill it will be obvious given anything more than a cursory look. During the colder months of the year it tends to form large flocks. 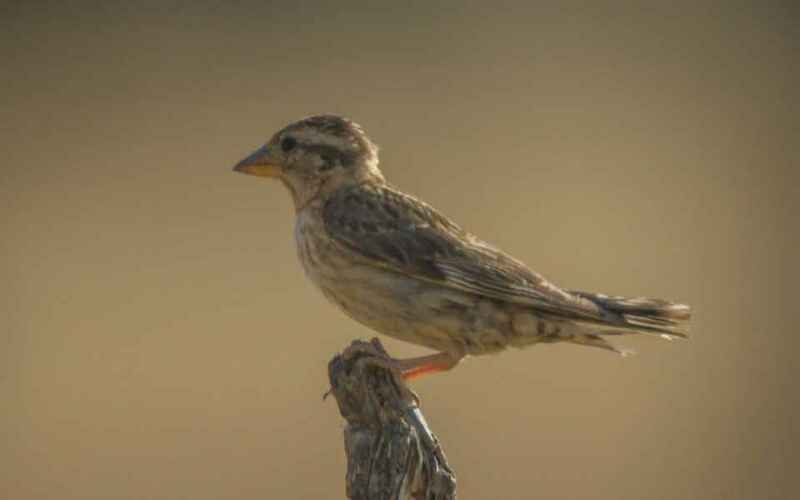 Its preferred habitat is dry open ground, often with rocks but is also just as happy with low vegetation.